We all know of Rome, Milan and Venice, but, Italy’s best-kept secret is a place you’ve probably never been before. Perugia is, without question, the most underrated destination in Italy, and an absolute must for culture vultures, foodies, and those who love architecture. If you’re looking for somewhere great to go for your next vacation, you simply have to check out this wonderful city. Located on the River Tiber, Perugia is a melting pot of old-world beauty, contemporary convenience, and the cultural and artistic capital of Italy. The perfect place for anyone with an ear for art, beauty, creativity, and great food! If you’re planning on visiting Italy, you simply have to make sure you check out this incredible place. Here is our discovery guide that will help you with making the most of the wonderful, magical, mysterious, and underappreciated Perugia. This is a city of wonderful architecture, amazing buildings, and wonderful cultural hotspots. If you want to check out something niche and local, we recommend having a look at Church of Sant’Angelo, built on the ruins of a pagan temple centuries before. But, the real architectural centerpiece of this amazing city is Fontana Maggiore, a stunning medieval fountain that makes this a truly striking city. As an honorable mention, the Cathedral of San Lorenzo is also pretty darn breathtaking too! The great thing about Perugia for foodies is the diversity of things you can do when you’re hungry. Those who enjoy a more hands-on, rustic affair should head to the local farmer’s market, or store, and pick up some picnic essentials – then head for a picnic at Via Delle Prome. For those who love to sit in and experience the local food, wine, and elegance of the city, La Taverna is the ideal establishment for you. A local gem, this is one place we can’t get enough of – we recommend you try the bistecca di maiale! We all know Perugia has some stunning architecture, but don’t think it’s just about that. The city also offers fantastic sightseeing options for tourists as well. The National Archaeological Museum is a true treat for those with an interest in history and archaeology. Then there’s the Galleria Nazionale dell’Umbria if you want to check out all the stunning artwork on display. Those with a sweet tooth simply have to check out Casa del Cioccolato Perugina. The chocolate here is simply to die for – but make sure you leave room for dinner! As you can see, Perugia is a city full of charm and beauty – and there is so much here to help you enjoy this underrated Italian gem. No matter what your interests are, we are sure Perugia will go some way toward fulfilling them. It has opulent architecture, fascinating art and culture centers, and no shortage of amazing restaurants as well. 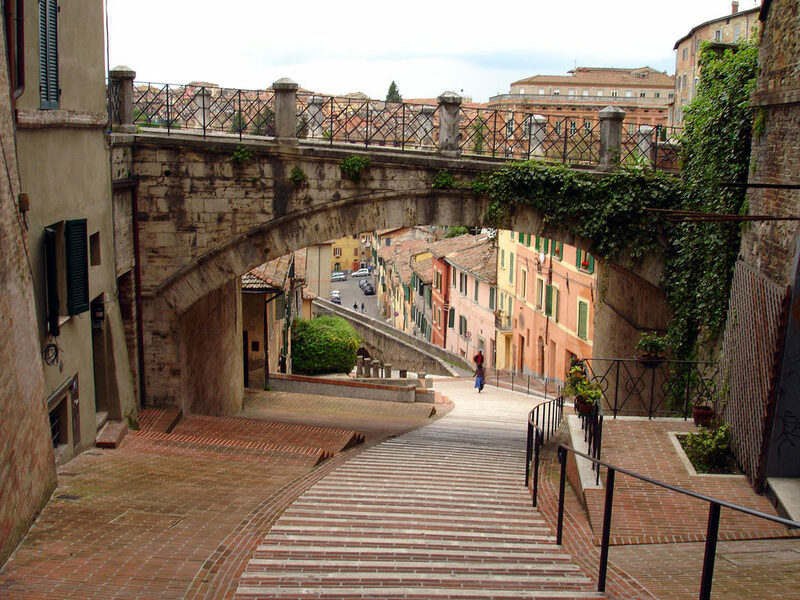 For your next vacation, you need look no further than the sublime and sensational city of Perugia.